E-Cigarette users – get non-smoker rates for life assurance – but time is running out! Have you or someone you know quit smoking for over 12 months or solely used E-Cigarette for 12 months. If so, you could save 50% on your life insurance by qualifying as a non-smoker. Smokers typically pay around 50% more for life cover than non-smokers. That’s a massive difference, to put into context take a 34 year old looking for €200,000 of life cover for a 25 year term non-smoker rate is €15.76 per month* –smoker rate is €27.25 per month* – that’s a saving of €11.49 per month over the life of the policy… food for thought! Until recently all insurers asked about tobacco use – you were deemed to be a smoker if you used tobacco in the last twelve months. And just to be clear, defining yourself as a smoker is a bit like pregnancy – you either are or you are not, in the eyes of the insurers there is no such thing as an “occasional” or “casual” smoker – if you smoke 40 a day or a couple every now and again you are a smoker. The rise of “vaping” has clouded the definition of a smoker for life companies. E-cigarettes deliver nicotine but don’t use tobacco. So technically under the old definition E-cigarette users are not smokers. So what is the current position for E-cigarette users? Some insurers have already moved to close this loophole by changing the definition from the consumption of tobacco to the consumption of nicotine. The general view is that it is only a matter of time before all providers make this change and the use of e-cigarettes and quite possibly nicotine patches and gum will mean smokers rates. However there are some providers still using the old definition so there currently is a window of opportunity for those who have been using e-cigarettes for more than 12 months to avail of non-smoker rates and save up to 50% on the cost of your cover– but time is fast running out! Therefore if you currently have life cover as a smoker and have quit for 12 months you should get your policy reviewed. 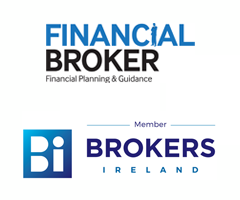 For more info Contact MLMG Financial on 0749321420 or email us on info@mlmgfinancial.ie. *source Best Advice April 2015.